If you have ever had a true surround sound experience, you would want nothing less. Although for a long time, surround sound has been the exclusive preserve of speakers, much of that is changing today. The typical best surround sound headphone is a closed-back over ear headphone that shuts you from the rest of the world and ushers you into the fictional universe of the video game you are playing or the movie you are watching. Music listeners are not left out, as surround sound headphones reproduce that intense feeling of being at the studio where the music was produced and listening to the sounds directly as they emanate from the studio monitors. It is important to note that your intended use would influence the type of surround sound headphone you get: More on that in the next section. Regardless of your intended use, we unveil the best surround sound headphones currently pushing the boundaries of surround sound headphone technology that would be appropriate for your needs and provide the terrific sound experience you are yearning for. For Gaming. For gamers, sound quality is serious business, which is why surround sound headphones are critical in gaming. The increased clarity and ability to tell apart sounds for example footsteps from weapons loading can be the difference between repeating a stage and advancing. The best surround sound headphones for gaming often incorporate a microphone. This is a nifty feature for easy, seamless communication with other players while participating in a multi-player gaming session..
For Entertainment. The reasons for getting a surround sound headphone for use with movie entertainment vary. It could be that you have sensitive neighbors or maybe you have a different schedule from your partner and do not want to be disturb their sleep—we all can testify to how irritating that can be. Regardless of the reason, one thing to note is that you wouldn’t need a headphone with a microphone. On our list, the Sennheiser HD 558 and the Ultrasone HFI-780 headphones are in this class. For Multiple Uses. If you would be using the headphone for several uses—watching movies, listening to music casually, gaming, and answering phone calls, then you would want a surround sound headset (headphone + microphone). The Ultrasone HFI-780 isn’t only a looker, it is a top performer. Starting off, it sports 40-mm gold-plated Mylar drivers that provide warm, rich sound that you would serve well for casual and even studio and stage use. Moving on, it features ULE technology with MU metal shielding that result in an up to 98% reduction in radiation when compared to ordinary headphones. In the end, its S-Logic Natural Surround Sound technology takes it to top of this list as the tech helps the HFI-780 produce natural, lifelike sound. Still talking about its excellent sound, Ultrasone delivers another breathtaking engineering performance with its advanced acoustic design that reduces Sound Pressure Level (SPL) to the eardrum by up to 40%. The result is that you perceive the same loudness of sound by with less fatigue. Together, these technologies give an exhilarating listening experience, which is almost as though high-end speakers are blasting only meters away. The Ultrason HFI-780 is collapsible (foldable), making it compact when you want to store and transport it. The icing on the cake is that you get a free carrying bag included in the package so you can store and carry your three-digit premium headphone securely. Fitted with luxurious velour ear pads and headband cushion and featuring a lightweight build, the HD 558 is one headphone you can use for extended periods without feeling fatigue. Furthermore, its sound quality is through the roof. First off, it features an internal surround reflector that generates an extended spatial sound field for an immersive listening experience. Its proprietary high-end innovative Eargonomic Acoustic Refinement (EAR) technology improves on the listening experience by ensuring accurate channeling of audio signals into your ears. The advanced Duofol diaphragms it sports deliver minimal distortion and increased transparency. The geometry of the diaphragm reduces intermodulation distortion, and its highly constant cellulose fleece reduces total harmonic distortion. Excellent dynamic response is made possible by its field-strengthened neodymium ferrous magnet systems. Together, these technologies and internals help provide a true audiophile-grade surround sound that provides clarity, decent bass, and an overall immersive listening experience. If you do not want to lock out background noise completely, it would interest you to note that these cans are open-back over ear headphones. 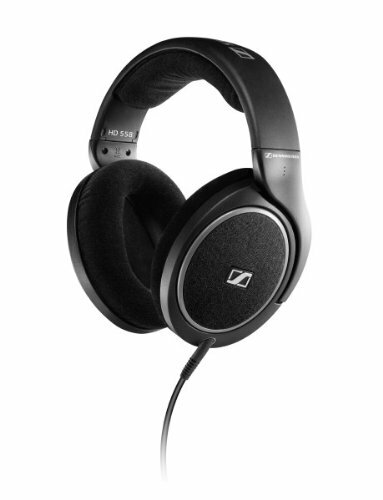 Nonetheless, the Sennheiser HD 558 has a sub-$100 price tag, which is dope considering its performance. Safe to say, this is one reason why it edges its sibling the Sennheiser 04567 to be second on the list and best open-back surround sound headphones currently available. If you are big on gaming, then you should get this pair of cans—the Sennheiser PC 363D is the best gaming surround sound headset you can lay your hands on. In addition to the superb looking design and the high quality sound, we have come to expect from top-of-the-line Sennheiser headphones, the PC 363D features an extended professional-grade noise-cancelling microphone. Aside its mic, a big attraction of the Sennheiser PC 363D is its 7.1 channel surround sound powered by Dolby, with 3D-like dimensionality, which enables you to pinpoint the slightest sounds from all directions accurately. Every one of those signals produced will channel directly into your ears thanks to Sennheiser’s own proprietary EAR (Eargonomic Acoustic Refinement) technology. 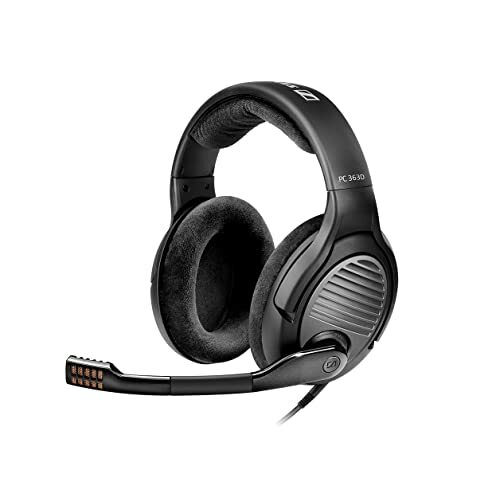 Gamers can use the Sennheiser 04567 for long gaming sessions with optimum comfort. This is due to its luxurious velour cushions on both the ear pads and the headband and its lightweight of only 1.28 pounds (the lightest headphone on this list). Other exciting features of the Sennheiser PC 363D include, automatic muting of the microphone when the boom arm is raised, volume control on the right ear cup, and a braided cable for long-lasting durability. Copyright © 2016 HeadphonesJunkie.com. All Rights Reserved. HeadphonesJunkie.com is a participant in the Amazon Services LLC Associates Program, an affiliate advertising program designed to provide a means for sites to earn advertising fees by advertising and linking to Amazon.com. Amazon, the Amazon logo, AmazonSupply, and the AmazonSupply logo are trademarks of Amazon.com, Inc. or its affiliates.